Another commissioned piece made this pm. Length is about 2 in. 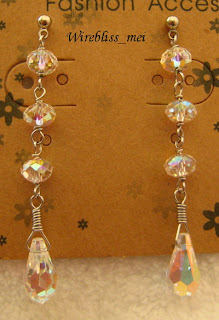 These crystal beads are quite costly so I am not very sure yet how much to price this piece.